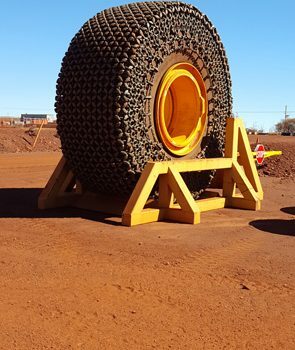 Westate Mining developed this innovative and industry-leading system to reduce downtime and increase safety surrounding the fitment of Large Tyre Protection Chains for heavy OTR Vehicles. 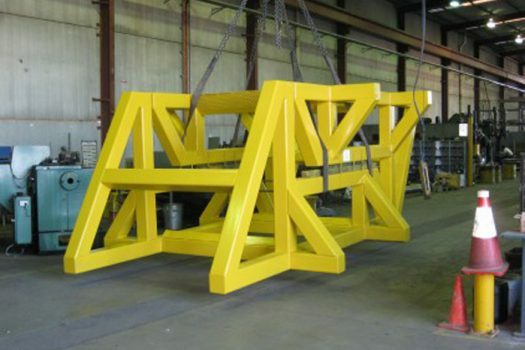 This equipment allows one spotter and one worker to quickly and efficiently fit protection chains. 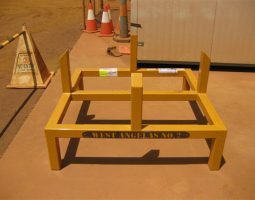 The system ensures all work remains at waist height and away from truck at all times. 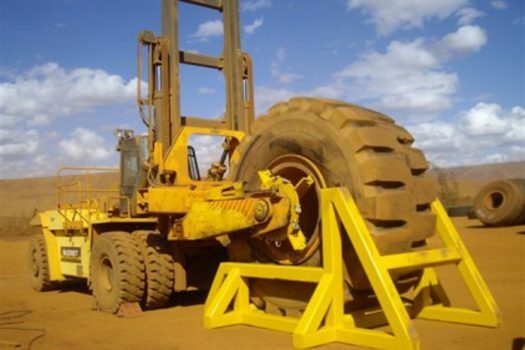 The tyre chain is fitted to tyre and rim while off the vehicle, then stored securely in a large storage rack. 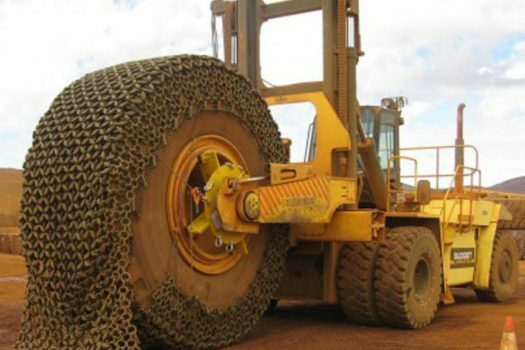 When the truck arrives for standard tyre changes, the fitted tyre is ready to go, and the truck is not held up waiting for fitment of the chain. 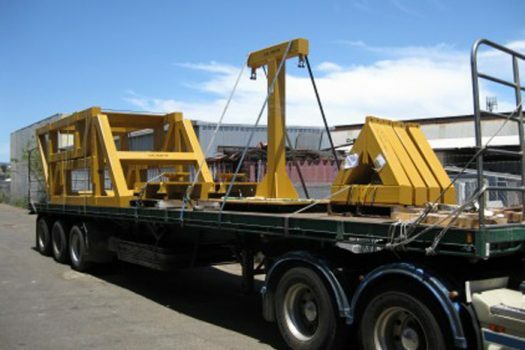 This reduces truck downtime, while keeping workers safe. 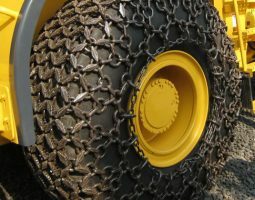 Before we developed the TCSS, fitment of chains could keep loaders down for up to 10 hours. 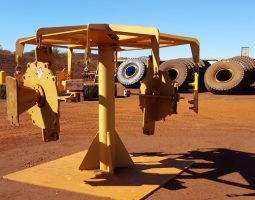 Using the TCSS, chains are fitted within ONE hour, increasing productivity and vastly reducing downtime. We are proud that use of Westate’s TCSS has become an industry standard. 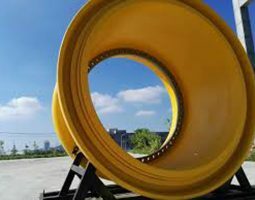 Find out more about our Tyre Chain Spindle System today.